Stepping off the plane, and leaving the airport to the sound of buskers and the chattering tourists. We were finally in Paris. The city of love…and fashion, was going to be the backdrop for a weekend of curating. We’re on the lookout for some stylish new frames to add to our collection at Bespoke Eyewear. Our destination was Silmo 2017. 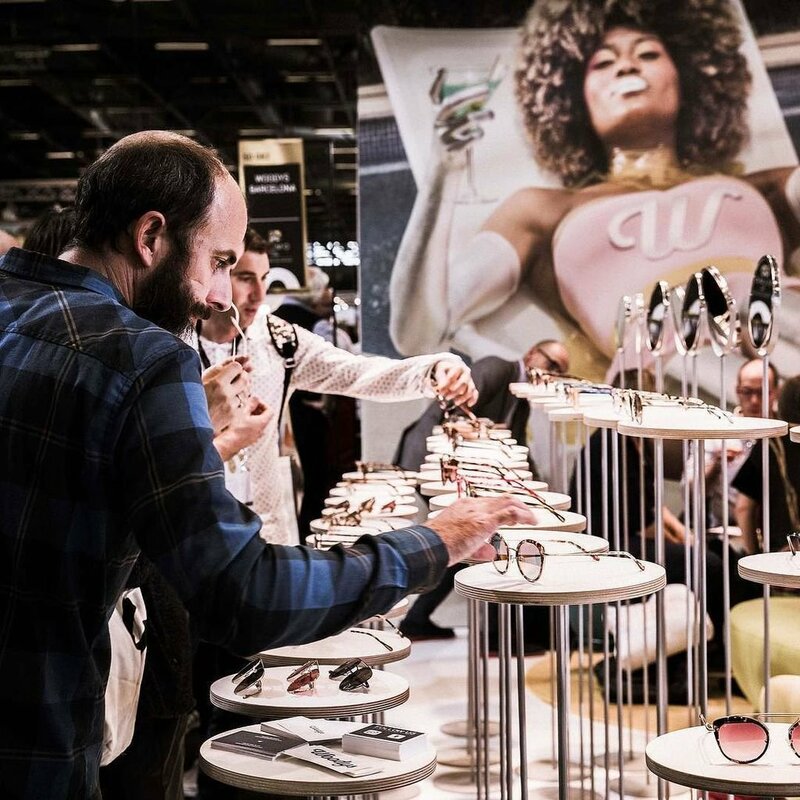 A huge expo, showcasing eyewear designers from across the world. Imagine an absolute cornucopia of every colour, material, size, and shape of frames that you can imagine. 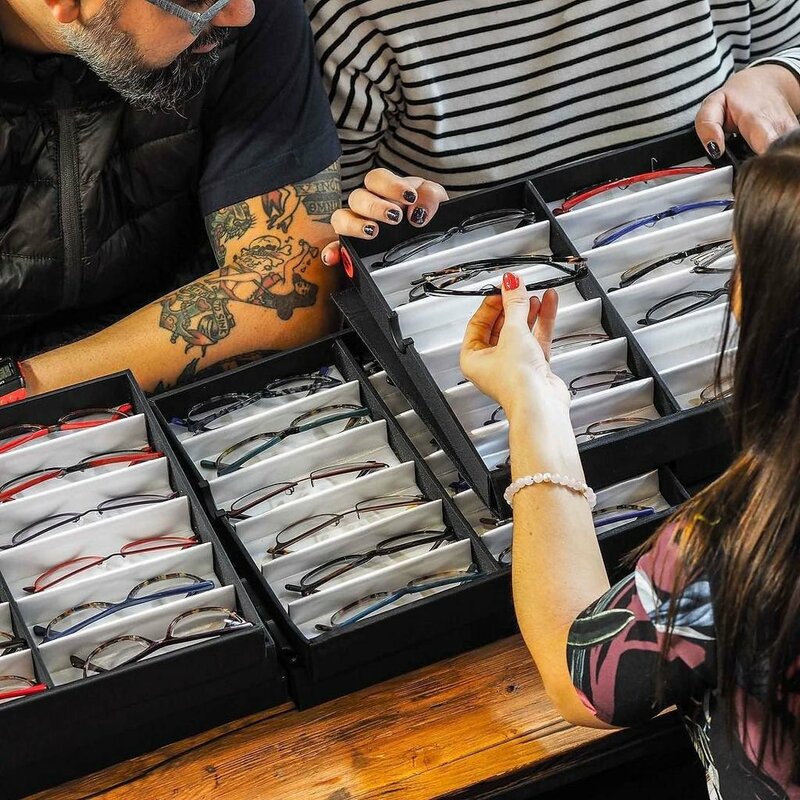 We venture here every year to meet new designers, check out the newest styles and make sure that Bespoke Eyewear is always one step ahead of the game. And this year, we were specifically looking for two new designers to bring back to the store. Every year, this event is great…but 2017 blew us away. Huge exhibitions, with some truly fascinating designers. You may remember that earlier in the year, we predicted the next big thing would feature a lot of metal? Hence us introducing NINE to the in store collection. Well…we were right. The new collections feature metal frames, which are strong but most importantly, light and comfortable. In fact, the new pieces are very much reminiscent of the 60’s and 70’s. Remember those huge aviator style glasses? They’re back! You might think this is typical of fashion. But actually, what we’re seeing is the optical industry dictating the path that the fashion houses should follow. The industry needed stronger frames that could be more durable and easier to mould. And the fashion designers delivered! The Japanese designers in particular, have really embraced the trend and have created some absolutely stunning pieces that truly blew us away. Amazing materials including metal and even leather, with intricate Japanese influences. So what did we come away with? We had the goal to come away with 2 new designers, and we actually came away with 4 new designers, including Campbell Marson which is already on our shelves, and a wonderful restock on our Res/Rei pieces! The new pieces are currently being sculpted and sent our way, and we’re very excited to be showcasing these pieces in store, in December. We love helping our clients feel healthy and happy. Get in touch if you have any questions or would like to book an eye test appointment.